Imagine a winter afternoon, a fireplace, a comfy reading armchair, your favourite book and a cup of tea. There's only one thing missing: a comfortable 100% cashmere blanket to keep you warm. Annie does the job nicely, the perfect fine yarn hug in which you wish to curl up and relax. The high quality performance of cashmere wool is universally acknowledged and proven, its unrivalled softness and velvety touch, together with its natural insulating properties, make for the coziest cocoon one can dream of. 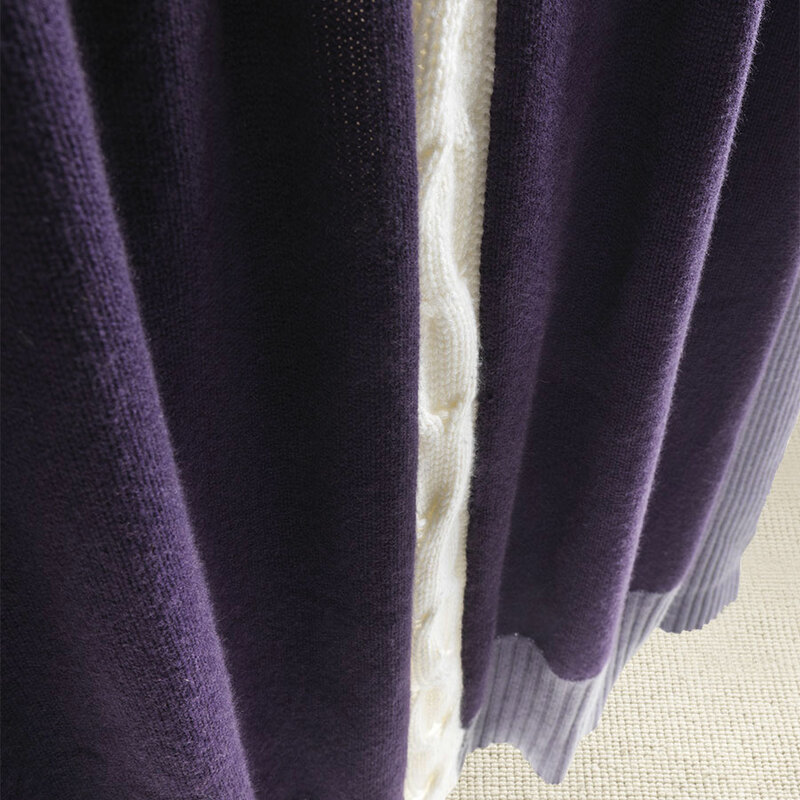 Choosing a cashmere blanket such as Annie is giving yourself a luxury item, an elegant choice you will not regret and an accessory made-to-endure. To make it even more unique, Annie is available in different colours for you to match with your style and living room mood. 100% cashmere wool blanket Annie features three different kinds of knitting stitches patterns: the soft shaved wool is enriched by a central braid embroidery and is hemmed with a rib pattern edging. Annie is made out of wools from Italian brand Cardiff. The knitting mill is located in Biella, a historical centre for the production of high end yarn and fabrics intended for the haute couture industry. Warm and pleasing to the touch, this cachemire blanket is made out of a natural material that enhances the resistance and thermal insulation of it. 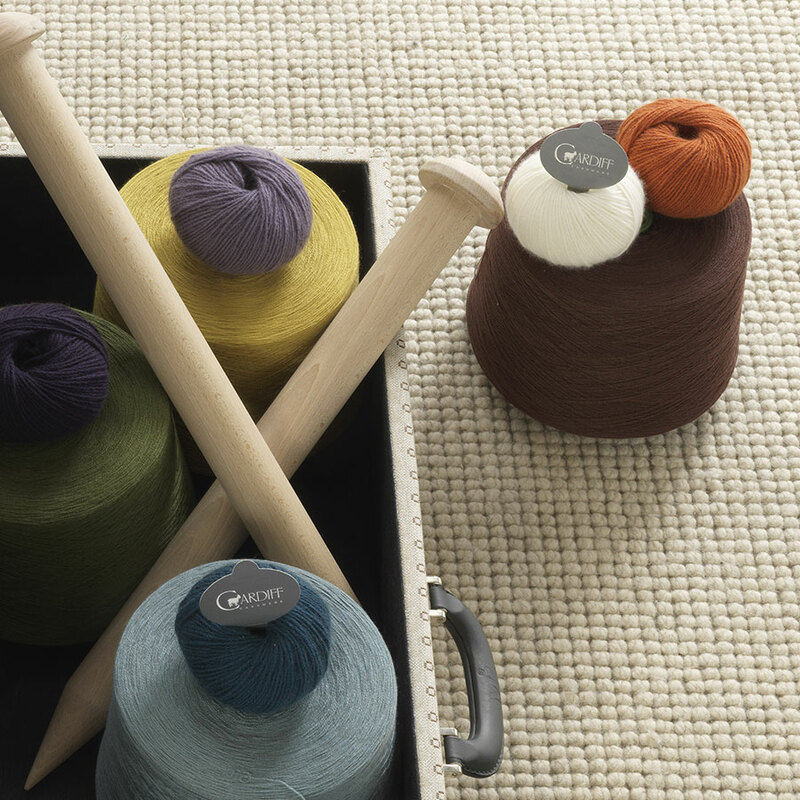 The exquisite cashmere yarn comes from Mongolia, from the finest and softest undercoat fibers of Hircus goats’ wool. It is estimated that the average production per goat is 100-200 grams per year, which is then halved by the removal of dirt and coarse hairs processes that follows the shearing and collecting. 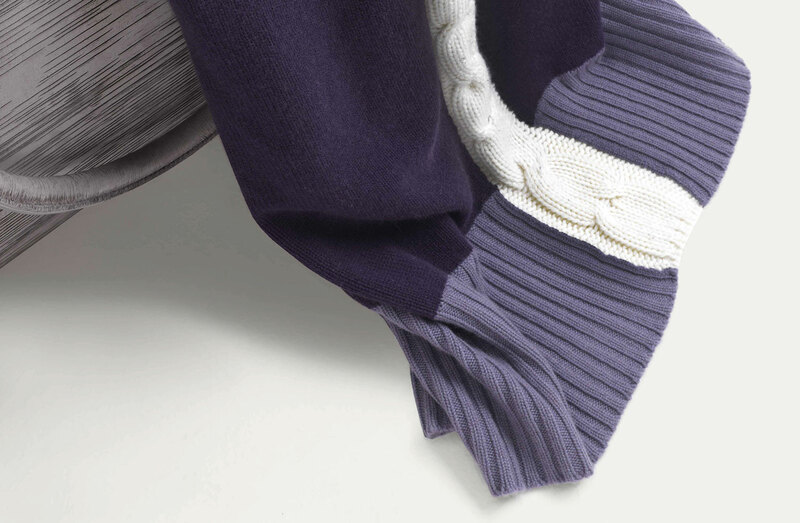 For these reasons cashmere garments are highly valuable. 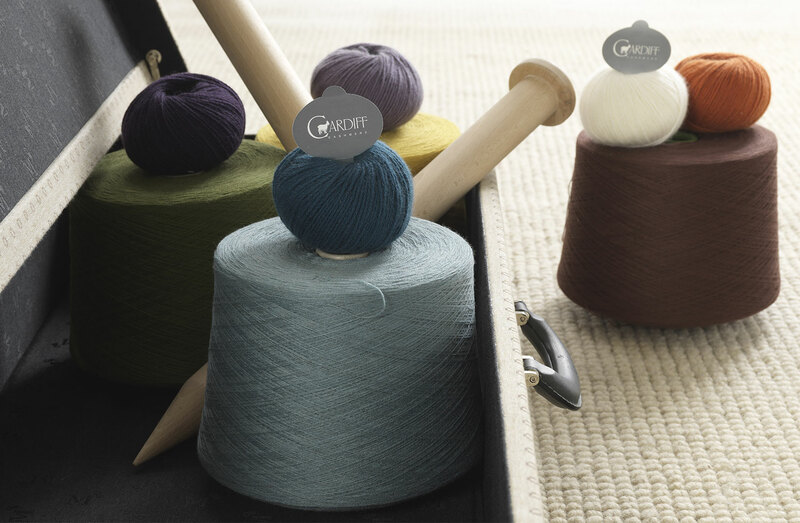 The brand Cardiff pledges to deliver only 100% pure cashmere yarns made of fulled wool fibers. They offer a unique touch, avoiding the washing of the finished woven fabrics of wool.